When you think of Africa what are some of your first thoughts? Seriously ask yourself that question? Do you think of it as a place of creativity and artistic expression? Honestly I think in America, Africa is not represented properly well at all. Its always shown in negative aspects – but honestly its a mecca of beauty and creativitiy. The fashion trend for the past year has been prevalent of people rocking African prints and garb lately, but even with that…there is still more to Africa. 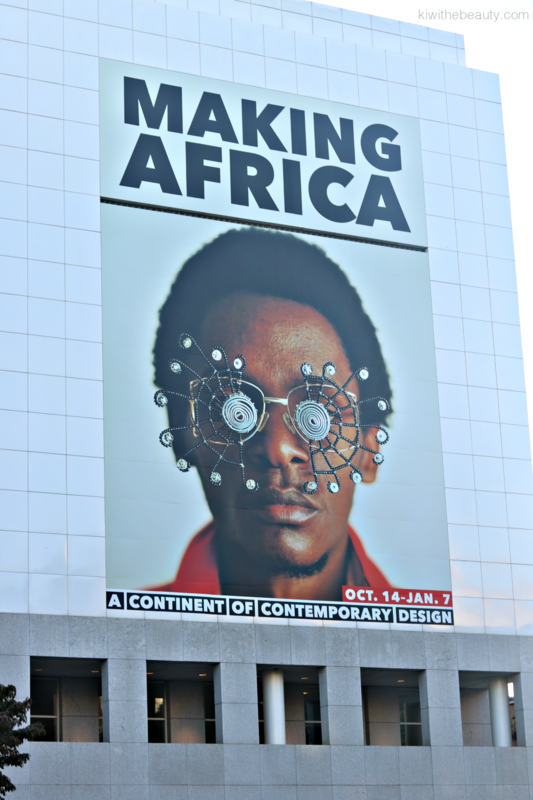 I was invited to explore the new Making Africa, which is currently at the High Musuem of Art and I couldn’t wait to see how this exhibit was presented. “Making Africa” presents the continent as a hub of experimentation generating innovative design approaches and solutions with worldwide elevance and as a driving force for reframing discussions on design possibilities and applications in the new millennium. 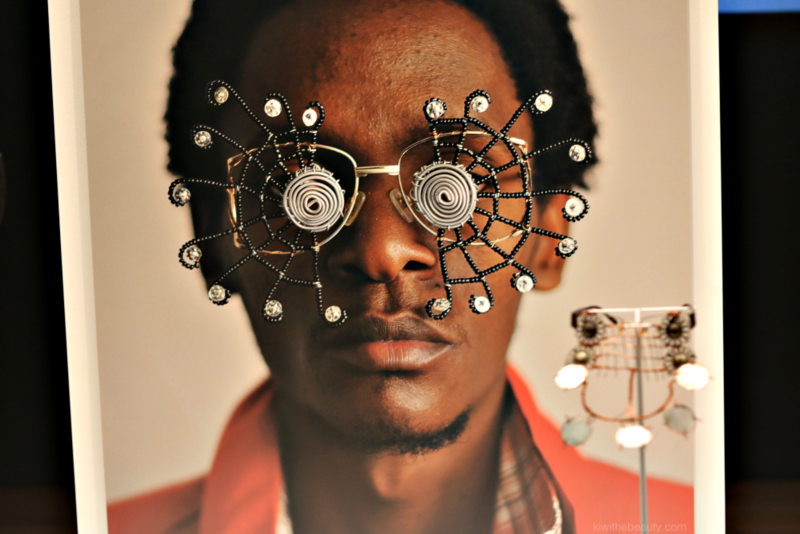 Kenyan artist Cyrus Kabiru’s 2012 “C-Stunner” glasses, made of found materials, offer a compelling metaphor for the shift in perspective explored in this section. Reminds me of African Futurism. In this exhibit there are lots of art work and images of past, present but a great deal of futuristic expressions as well. 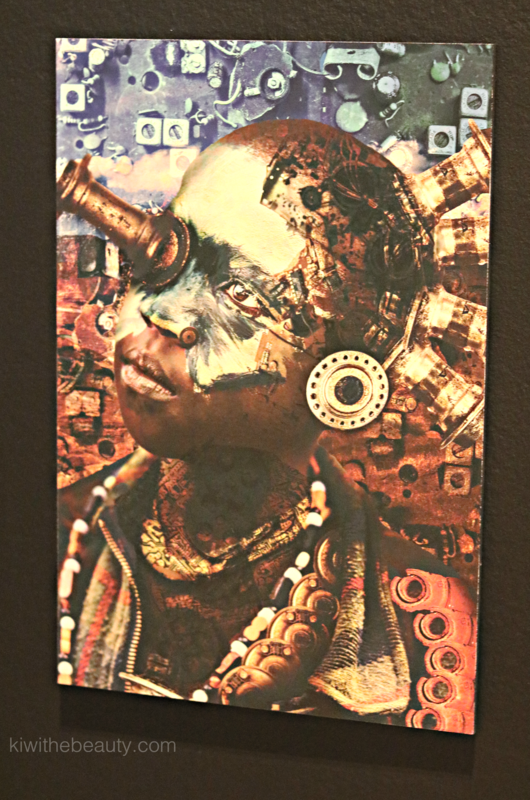 It was beautiful to see artwork of an African future. I feel like I haven’t seen many futuristic shows and movies that showcases an African future. Ok I take it back…Marvel’s Black Panther is supposed to explore that. Until then, looking at some Afro-futuristic work here was amazing! 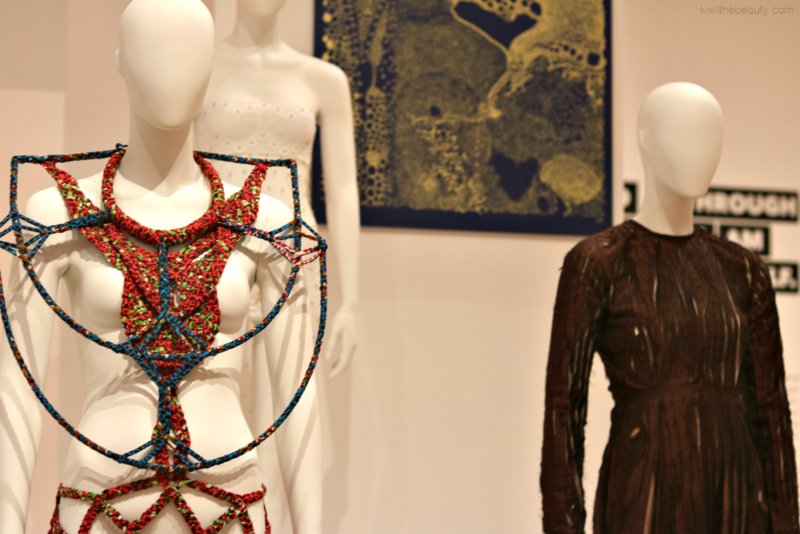 At this exhibit there are so many high fashion African design concepts! Now this one hurt me. I seen this and initally I was confused. 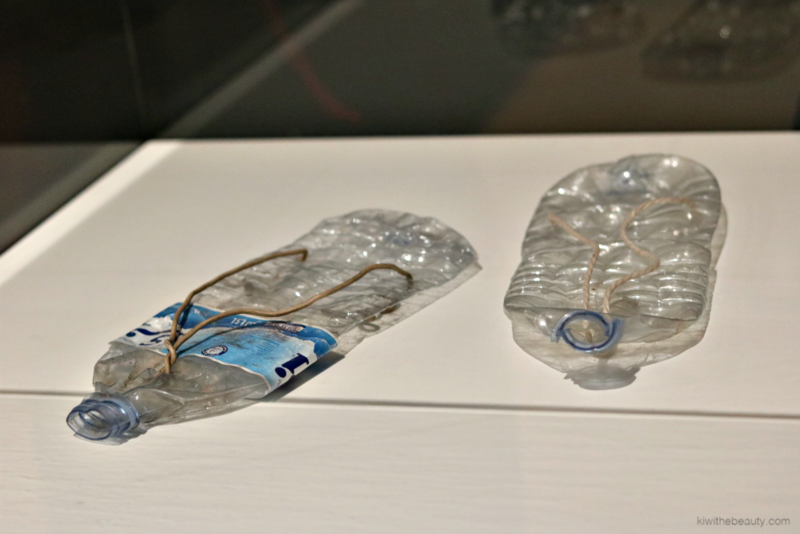 I thought what part of flat water bottles with string on it is art? 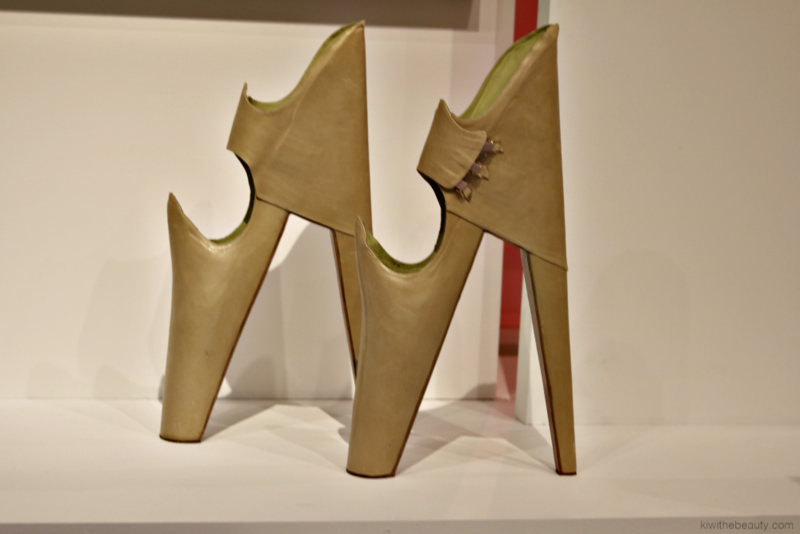 Then I realized…these are sandals. This is the Africa most people think of. The famine, the dispare, the poverty and the lack of resources. So much of a lack of resources that many in certain parts of African people cannot afford shoes. They make shoes out of water bottles. I literally kind of teared up when I figured it out. I can’t even imagine the poverty of not having anything but water bottles and string to make shoes out of. Can you imagine? Privledge is every shoe I owe, every shoe you own. Drum Magazine Vintage Covers from the 60s. 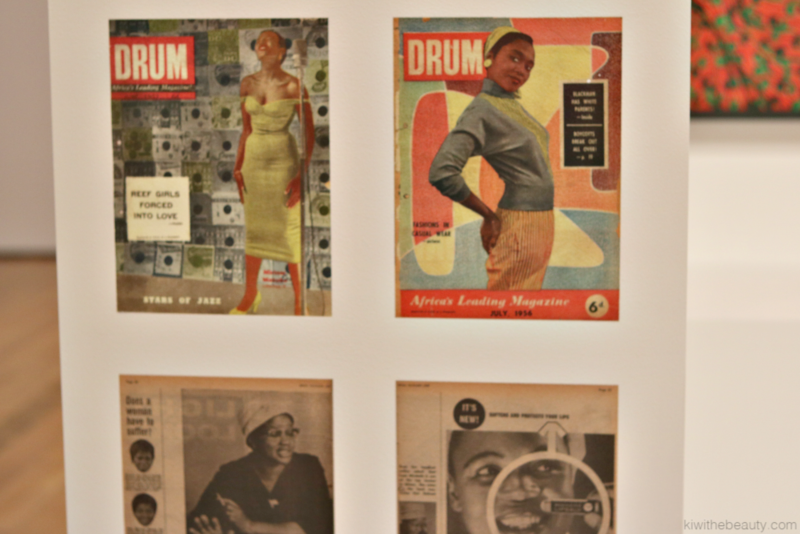 DRUM Magazine, was the first black lifestyle magazine in Africa created in 1951. This magazine looks slighly similar to the America black lifestyle magazine called EBONY Magazine. I love this Albino model. Albinoism is the lack of pigmentation that is usually a genetic deformity in Africans and African Americans. Many people think of Africans as dark people, but the truth is the contintent of people have an array of colors and shades, including albinoid people. I love this so much because the model is stunning and her hue is what makes her beautiful. The white cloth on her porcelain skin, but yet you can still see her strong African features are just stunning. You all know I am an avid traveling epseically internatially…but I am on a mission. I will be manifesting and putting into the universe I will visit Africa in 2018. Visiting Making Africa sealed the deal for me. I need to see the beauty in the flesh! I loved visiting this exhibit. I know I am African American, and I will be honest I still lack knowledge of a modern Africa. 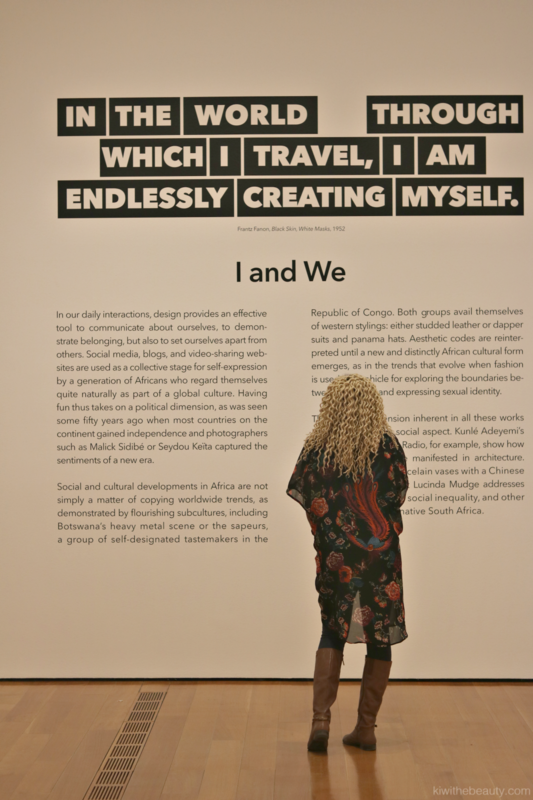 I promise after exploring Making Africa, I am more enlighten on the modern country, got to see so many creative works from the amazing African designers and I feel more connected to what Africa is really made of. We have to see creativity is across the globe. Creative in fashion, tech, entertainment, craftmanship and more. Our minds have to expand from what we were told about the largest continent on this planet. Think about it, this large planet is fill with people who are highly creative and yet we barely get to see their work. Everything is really all about America and how great we are here. We can’t be so pompous as Americans to think we are the inventors of some of the best work out currently. I dont think so. Africa has plenty of jaw-dropping artwork and pieces and I am sure if displayed in the mainstream it would flourish more here. 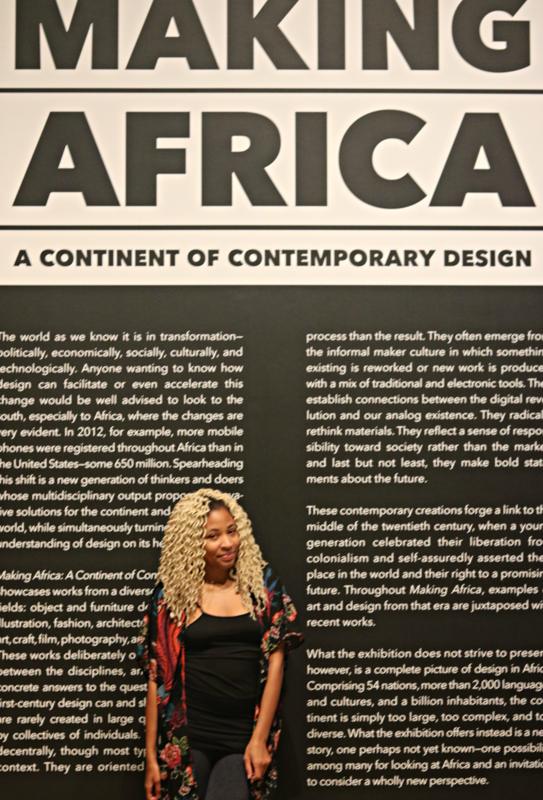 We will see if African influences will get the recognition it deserves here but until then Making Africa is a great exhibit for African artistry. Making Africa showed me Africa is made in beauty and lots of it! 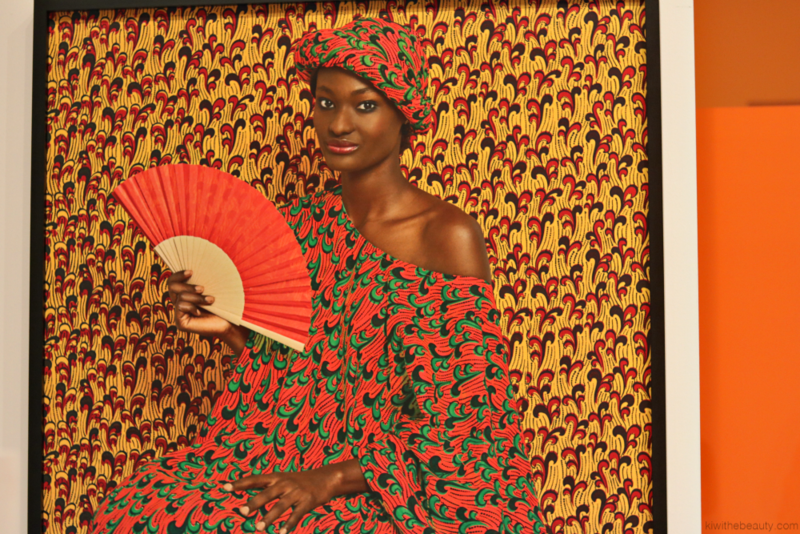 The High Museum of Art is the first venue in the United States to present this major touring exhibition, which offers a fresh look at African design through a myriad of diverse works by more than 120 artists. Ranging from playful to provocative to political, the works include sculpture, prints, fashion, furniture, film, photography, apps, maps, digital comics, and more. Through Jan. 7. 10 a.m.-5 p.m. Tuesdays-Thursdays and Saturdays; 10 a.m.-9 p.m.
Fridays; noon-5 p.m. Sundays. $14.50, ages 6 and above; free for children 5 and younger and members. High Museum of Art, 1280 Peachtree St. NE, Atlanta. 404-733-4444, www.high.org. I love visiting museums with my kids! I would love to add this to my list! 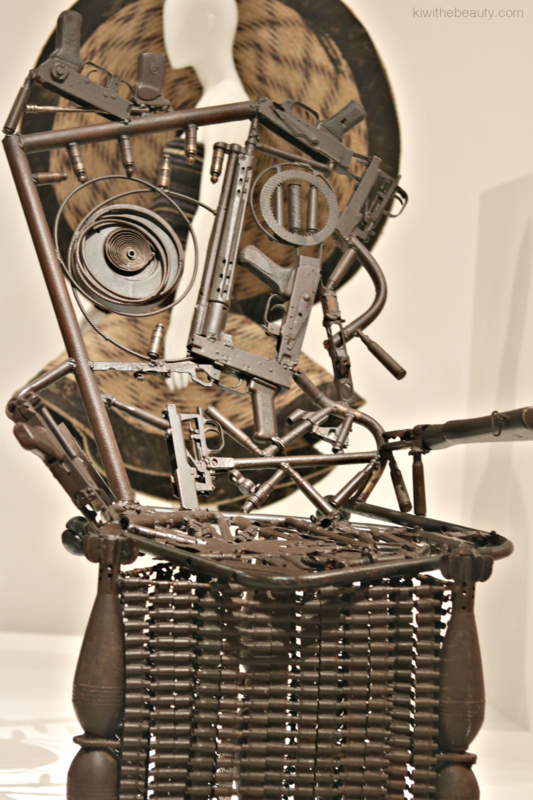 That chair made of guns and ammo is really interesting, it truly is a neat look into africa. I never knew there was this much colorful and beautiful art tied there! What a cool exhibit! I wish this was here in NYC! This looks dope! I thought that magazine was Ebony had first. Seems like such a powerful thing to experience. I have to make my way to see this exhibit before it leaves. Looks so good. I would absolutely love to visit this place. I try to write about Africa as often as possible to continue to show it in a more positive light than we are accustomed to here in the west. This looks like a great place to visit and learn more about the different cultures in Africa. The water bottle sandals were hard to see, but I think it is something to world needs to see as the reality may help others step up and see what they can do to help our fellow man. I love educational art! it just makes me eel at home and fills me with hope that every person visiting is at least learning one thing or another whether they know it or not. Thank you for sharing such beautiful and innovative artwork. Such a great opportunity to learn the true culture of Africa. I would love to check out this exhibit. I always like to learn, so this would be incredible to walk through. I would love to go see this in person. I would love to spend an afternoon exploring the Museum and learning. check it out if it came to my local area. What beautiful and unique works of art! Thank you so much for giving us a wonderful glimpse of these fabulous pieces. 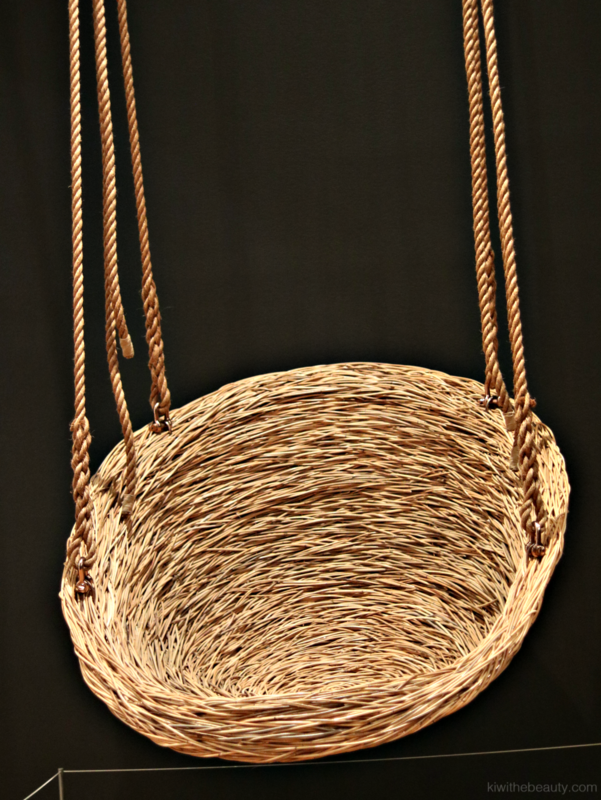 That hand woven basket swing is so neat! I would love to have one of those on my front porch or out in the yard hanging under a big oak tree! Amazing pieces and your pictures are so good. Made me feel like I was there. It’s so interesting to get a peek into the art of Africa! I don’t live too far from Atlanta so I’ll have to check this out! You hit my hard with that photo of water bottle sandals. You are so right. Privilege is every pair of shoes I own. I never thought about it like that before. This museum looks so fashinating, as Africa’s culture too at my eyes. Your pictures make me want to visit it so bad, but I’m from Italy… Have to absolutely check it out if there’s is something so interesting near me! Wow, water bottles as shoes. This exhibit really puts things in perspective. I love to see it for myself. One of my favorite past times is taking a stroll through a new museum. I love the vivid colors and the historical beauty of sharing news and artifacts from people of color. What an amazing exhibit! I love all of the artwork there. I’ll have to make sure the family takes a day trip this weekend. I’d love to view this exhibit. The Poster Boy is incredibly powerful. Great artwork here. Do you know if this is a moving exhibit? Would love to see it in person up North! Gosh, there was some incredibly creative artwork there. I would love to see this exhibition! I haven’t been to a museum in years! I’d love to see these displays, and take in some African culture. What a beautiful exhibit to experience. I will have to share with my connections who are in Atlanta, lovely! 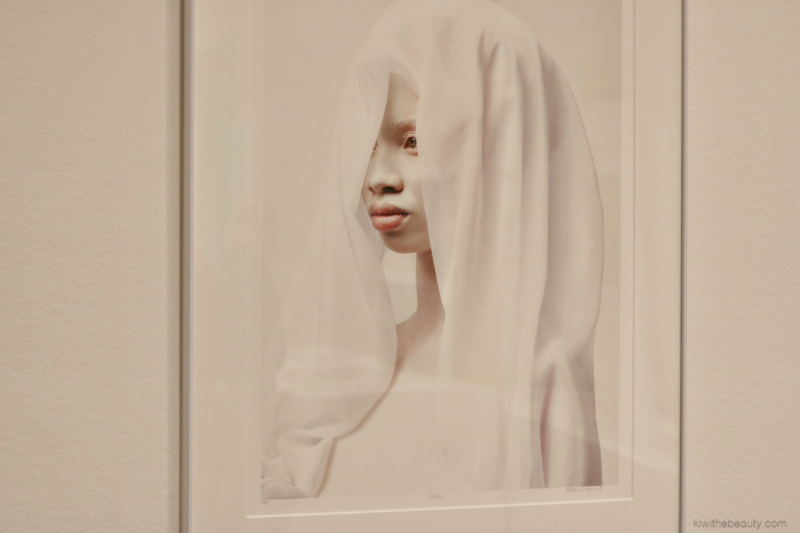 Wow… what an amazing exhibition, I’m going to do some checking to see if it will be making it’s way to our state. Africa has a rich culture and history. It’s awesome that it’s being showcased in Atlanta. There’s no doubt that the art is beautiful! i love visiting museums! i go weekly and i wish this one is close by as the exhibition is really good! The High Museum of Art is phenomenal. My family visited several years ago on a visit to the city and loved exploring the exhibits. Such beautiful artwork! I love to see artwork from all different backgrounds and cultures. I would really love to see this exhibit. I had no idea that they made shoed from old water bottles. That really puts my own problems in perspective. This looks like an amazing exhibit. This is so amazing. It really captures the heart of the people from there. This looks like such a cool exhibit. I always love visiting the High Art Museum. There’s nothing better than taking the time to appreciate beautiful art. I just love that they’re featuring the beauty of Africa! This was very well done and it sounds like something I need to experience for myself. After doing my DNA testing there is so much about Africa that I need to learn. These are really creative pieces! 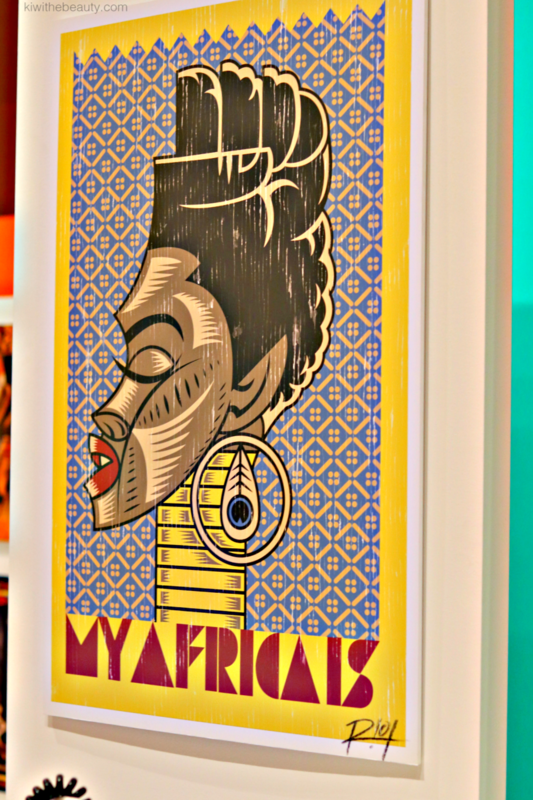 Such a great way to promote African art! This is a beautiful exhibit! I’d love to visit it! Atlanta has been one of the places I want to visit in the US. Thanks for the review of this museum. Can’t wait to see it myself! I love Africa, I was supposed to go to a Zanzibar this year but I changed my plans. I would love to go see this museum. They have dope art. When I saw the water bottle shoes, I automatically thought we are creative and innovative. This is so wonderful. My husband grew up living in Africa, and all his stories make me really want to learn more about the cultures and histories there. What an incredible display. This really captures the heart of Africa. I so wish I was in Atlanta right now to visit this exhibit. I also want to visit Africa in 2018 too, hopefully we both make it there! Manifesting it with you. This looks amazing! I love your photos. I would love to plan a visit. So lucky ti visit this exhibition. I also love exhibits and knowing the artists arts and what they think. Awesome! great coverage of the exhibit! 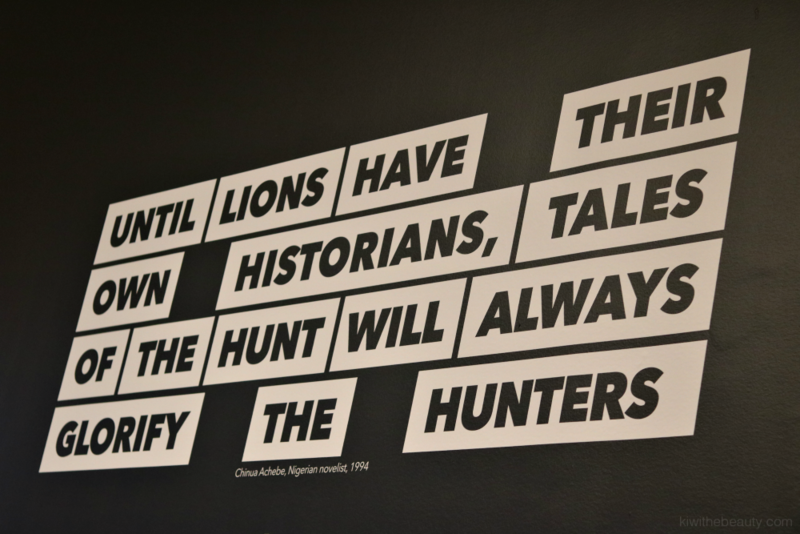 And way to stay open-minded and have a desire to learn more about your African roots. Omigosh! I love everything about this. These images are stunning. Definitely gave me a different perspective.